There’s a lot of planning that goes into ensuring screenings with non-English speaking families are productive, accurate, and culturally relevant—and as we learn from ASQ® co-developer Kimberly Murphy, it’s not always as simple as providing a translated questionnaire. Here she answers some important questions you may have as you plan for a successful bilingual screening. What’s the difference between adapting and translating an ASQ questionnaire? If you need to screen a child whose family does not speak English or is not bilingual enough to ensure clear and accurate communication, you will need to make accommodations to ensure the questionnaire can be completed accurately. This could take a few different forms. Adapting a questionnaire involves working with an interpreter or someone else familiar with the family’s culture and language to review and modify questionnaire items if needed so that the translation can be linguistically equivalent and culturally appropriate. Translating a questionnaire relies upon a person who is fluent in both English and the target language and culture translating questionnaire items from English to that target language, as a first step in the adaptation process. These are not simply word-by-word translations—a nuanced approach that includes item adaptation as necessary is required to ensure the items make sense and are culturally appropriate. Why should programs take the time to adapt questionnaires to a family’s culture, and are there potential consequences of not doing so? 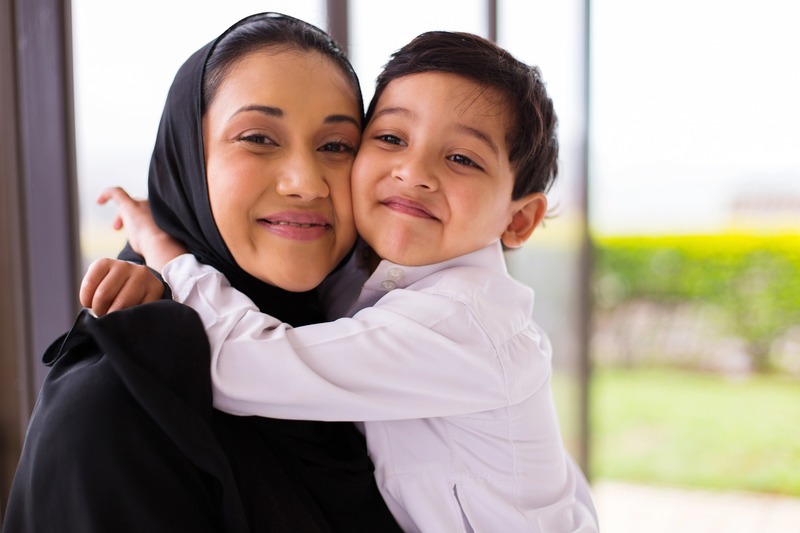 We adapt questionnaires for non-English speaking families for the same reason we adapt them for those who speak English: in addition to language differences, there may be religious or family practice reasons for a child “not yet” performing certain skills. By adapting the questionnaire, you are helping establish a good relationship with the family and finding out what the child is actually able to do within his or her environment, versus just forcing a question/answer. This ensures that scores accurately reflect the status of a child’s general and social-emotional development. When English is the first language, we can quite easily discover adaptations that need to be made during conferences or home visits because it’s part of the usual conversation. In a non-English speaking family, you’d want to know about possible differences ahead of time so you don’t cross barriers right when you walk in the door. Missteps can influence the provider–family relationship in a negative way. For example, there may be items on a questionnaire, such as those about self-feeding or looking in a mirror, that a particular culture may not allow their child do. By simply asking about these topics, the parent may feel as though you want to make their child perform the skill—which they may find intimidating and view as forced cultural change. Additionally, including an item that isn’t culturally relevant will not give an accurate picture of the child’s development, which can also strain the provider–family relationship. For example, there may be items in the Communication domain that ask questions specific to the English language structure and development that will not be relevant in the target language. Consider if a speech-language pathologist (SLP) or other specialist may need to be consulted to identify equivalent items that demonstrate early language development in the target language. Work through an interpreter or another bilingual and bicultural person (cultural broker) to learn about the culture and adapt items. Doing this beforehand is best, but it can be done at the time of screening with some considerations if that’s your only option. Should an interpreter be present when the family completes the questionnaire, even if they are using one of the available translations? A family could certainly complete ASQ on their own if the appropriate translation is available and literacy is not an issue. That said, the optimal situation is using a translation of the questionnaire and having the administrator and an interpreter present during the screening or to review results with the parent in person. Trained and certified interpreters are extremely invaluable because they can help you have an effective conversation and establish a good relationship with the family. If you decide to have the parents complete the questionnaire on their own, you’ll still need someone to first confirm that all items are culturally appropriate since there are cultural subtleties even among people who speak the same language. This person should also adequately introduce ASQ to the family in their native language, either with a conversation or in writing. You will also need an interpreter who is bilingual and bicultural to be present when you review the results with the family. What we want to avoid is the “check-off task” where a family receives a questionnaire with no introduction and no follow-up occurs after it’s completed. While it may take extra steps and resources, building a positive relationship with every family is key to ensuring young children receive the support they need for healthy development. Do I have to use a trained interpreter? Can the child or another family member serve in this role? In general, having the child, another family member, or even a neighbor serve as an interpreter for ASQ screening is not the best choice, for a few different reasons. First, if we look at best practices in screening—regardless of the situation or language—the home visitor or developmental specialist is seeking to create a relationship with the parent or caregiver. Using another person within the family or close to the family could seem like a practical solution, but without planning or checking into the family’s culture and practices, the practitioner can unknowingly undermine that relationship or prevent it from flourishing. Working directly with the child who is being screened or a neighbor could be completely inappropriate for the family’s culture. You could inadvertently be crossing cultural lines by giving this person status over the parent or another family member who should be present at the screening, which may put that person in a difficult situation. Another consideration is the accuracy of a screening—getting relevant and important information that allows the practitioner and parent to support a child’s next steps and development together. The practitioner (e.g., teacher, home visitor) needs to develop a good understanding of what’s going on with that child, with respect to the family, culture, and home environment, so they can make the most useful and accepted recommendations for interventions or follow-up if necessary. As part of the screening process, it’s also likely that you’ll need to make modifications to questionnaire items to account for cultural differences and/or family routines. With planning ahead of screening, having a trained and impartial interpreter can help ensure accuracy. How can I prepare my interpreter for the screening? First and foremost, try to arrange for an interpreter who is certified and fluent in the same language and culture as the family. Make sure your interpreter has had an opportunity to talk with the screening administrator and review ASQ beforehand. This way, any questions about the intent of the questionnaire items can be answered before the family is involved. At the very least, do a brief review with the interpreter at least 20 minutes before getting together with the family. Assuming your interpreter is both bilingual and bicultural, they should be able to point out any items that might not be culturally appropriate for the family, which will give you a chance to discuss how those items can be modified or omitted during the screening. Let them know your expectations. You are both working together to establish a relationship with the parent/family, and you will be talking to the parent and guiding the screening, with their help. Can the interpreter use an English ASQ questionnaire with the family or should I provide a translated version? If possible, providing a translation will be really helpful for both the interpreter and the family because it allows a joint reference between the interpreter and parents. Just as you would when using an English questionnaire with English-speaking families, when parents and provider can use the written items as a joint reference, it makes conversation to clarify the intent of an item much easier. This also helps parent and provider to modify an activity to something more familiar to the family and child, if needed. With some planning, the interpreter doesn’t have to provide “on the spot” translating and conversation. Using a translated ASQ also helps the interpreter. You can imagine the challenge of trying to interpret in the moment each of 30 items, plus overall questions, all while making allowances for cultural and linguistic differences and conversing with both the administrator and the parent. When possible, it’s much more helpful having a translated version to start with! There are several published ASQ translations. ASQ®-3 is available in Arabic, French, Spanish, and Vietnamese, and ASQ®:SE-2 is available in Spanish. Programs can also conduct their own translations by following the steps outlined in the user’s guides. The World Health Organization (WHO) and the International Test Commission (ITC) are also important references for translation/adaptation work. If a child’s parents do not speak English, can a program opt to screen the child directly and then share results through an interpreter? Assuming that this means the child speaks English, this may be an option when child is in child care or a classroom, and with parent consent. However, a teacher or provider still needs to use an interpreter who is bilingual and bicultural to introduce screening—with ASQ-3 or ASQ:SE-2—and to discuss results with the parent/family. Because screening is more than marking responses on an ASQ or ASQ®:SE, it’s important to keep in mind that best practice is for teachers and parents to work together during that screening so the parent isn’t left out of the process. The practitioner needs to understand what works and what doesn’t work for the child, in both in-home and out-of-home (e.g., pre-K, childcare) settings. When working with non-English speaking families, are there any considerations around scoring that I should be aware of? Yes. 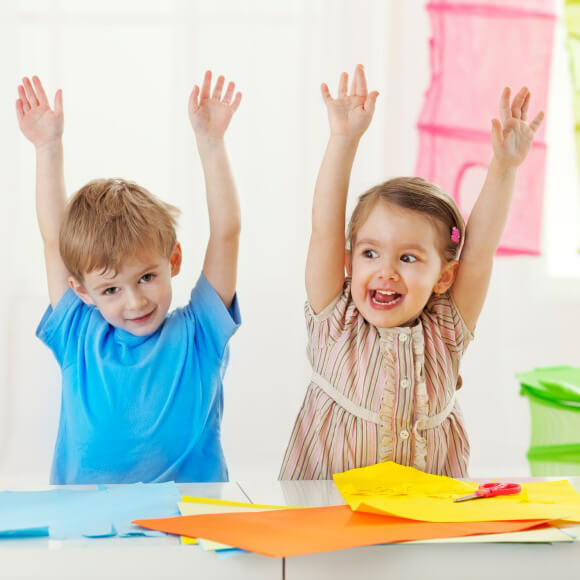 The cutoffs on both the ASQ-3 and ASQ:SE-2 were based on U.S. norms using samples of American children and typical U.S. daily routines and pre-kindergarten learning. Therefore, when reviewing and interpreting results when a translated version has been used or an interpreted session has occurred, extra consideration for interpreting scores is necessary. Did a parent skip questionnaire items? Just enter the screener, total score, and number of unanswered items to quickly adjust for omitted items. For example, you might be working with a family who has recently immigrated and has experienced trauma or not had access to a normal home life. ASQ items assess activities that are done as part of daily routines in stable environments. It wouldn’t be unusual in this scenario if a child’s scores show “at risk” results right away, but this isn’t necessarily cause for immediate referral. The child/family situation can be considered individually, according to their circumstances. You may decide the best approach is to keep working with the family to encourage the child’s development and re-screen at a later point. General ASQ best practices still apply. If a child—of any language—hasn’t had an opportunity to practice an activity, give them an opportunity and time to practice skills, and rescreen to follow up. It should also be mentioned that just like in the English ASQ or published translations, if an item can’t be culturally modified for some reason and there is no equivalent activity that could be substituted, you can skip the item and use adjusted scoring. Ms. Murphy has coordinated several research studies involving both the ASQ and ASQ:SE, including data recruitment, collection, and analyses for the renorming studies of ASQ:SE-2 and ASQ-3. Since 2012, she has been working with researchers in the U.S. and around the world to translate and adapt ASQ and ASQ:SE in many different cultures and environments. Working together with the ASQ developers, several adaptations from this work have been piloted for use in U.S. populations, leading to publication of ASQ-3 in Vietnamese and Arabic. Simplified and Traditional Chinese translations of ASQ-3 will publish in Fall 2018. 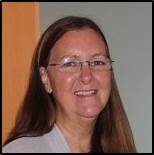 Ms. Murphy also contributes to related ASQ materials and serves as web content editor/coordinator for the research site designed for national ASQ and ASQ:SE data collection. She currently serves as project coordinator for the Oregon Online Screening Project, developing and operating its research website. Ms. Murphy also works as part of a team providing statewide trainings to implement universal early childhood screening in Oregon using ASQ-3 and ASQ:SE. Brookes Publishing offers various translations of both Ages & Stages Questionnaires® (ASQ-3 and ASQ:SE-2), as well as access to plenty of resources that can help you work better with families and facilitate your own modifications and adaptations.